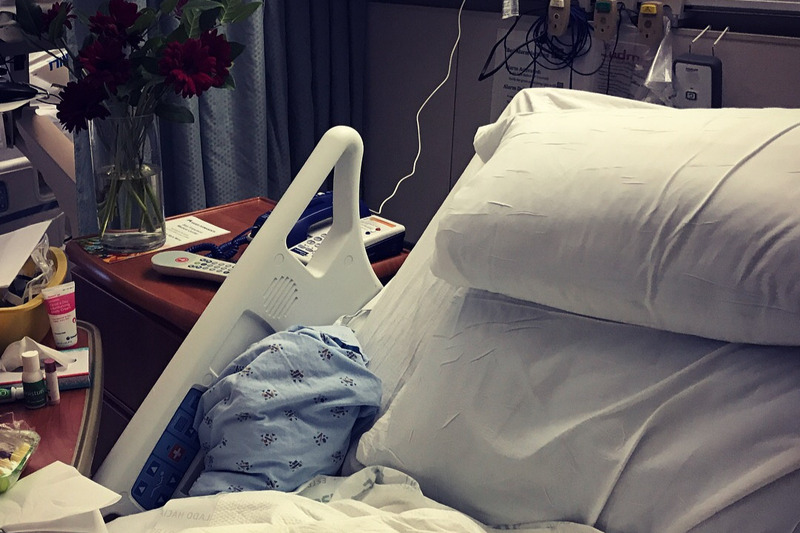 I have been in the hospital ICU, and spent March recovering from quite a harrowing medical ordeal. Read the full tale in UPDATE #17. Due to this fact, I have decided to extend this fundraiser to MAY 5. Your support means the world to me right now. I am eager to get things back in action. If you donated less than $40, you will receive the full digital version of the album and full color PDF of the book. ***And everyone will be entered to win one-of-a-kind Lily Dale spirit collectibles. There will be two final random winners when the campaign ends. "Jill Tracy is the Queen of taking her listeners into another realm." The recordings are all finished! I have been in the San Francisco studio of renowned mastering engineer Gary Hobish to assemble the album from the hours of piano music and field recordings I captured in Lily Dale. This has been a long process as there is so much of it I love—making the final selections for the album is difficult. This music has cast a profound spell over me and I cannot stop listening to it. Of course, as a donor you will get ALL the bonus music that does not make it on the album too! Plus your name in the credits as a Guardian Spirit. So, it's still a perfect time for you to donate to support my work finishing the album, (which will come in a gorgeous storybook form) and of course you'll be the first to receive it! 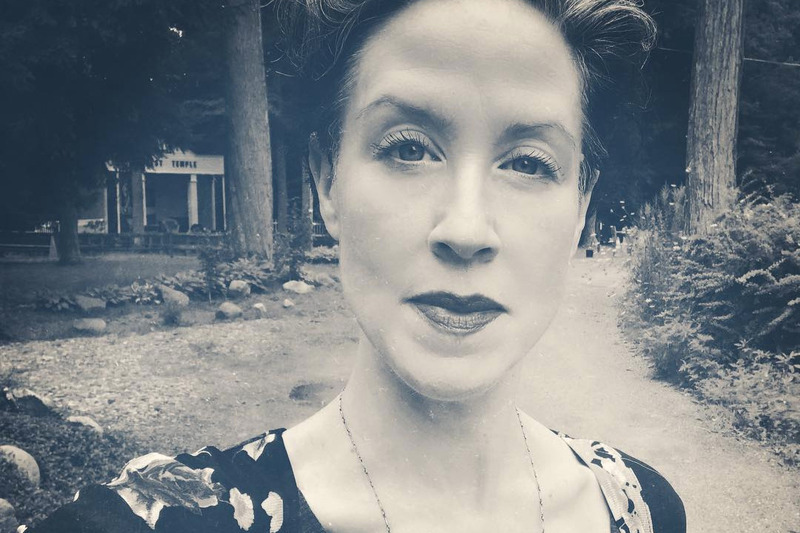 During my most recent trip in August 2018, I did a really fun video interview at the site of the legendary Fox Sisters Cottage with Lily Dale Medium Celeste Elliot. Watch it at THIS LINK! Thank YOU immensely for helping fund my initial trips and materials, enabling this project to even exist. I am honored by your level of trust in my work—and to the Lily Dale Assembly for inviting me to make this project happen. Such a rare opportunity! I received a beautiful letter from the President of Lily Dale, and love having the enthusiasm and support of the community. Plus some donations from members of the Board. 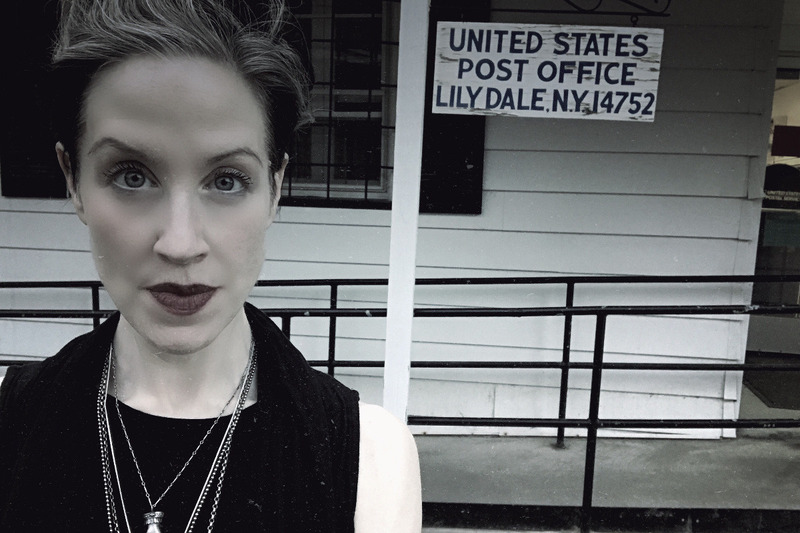 Read the recent interview "A Glimpse Beyond the Veil: Jill Tracy Reveals The Secret Music of Lily Dale" in Haute Macabre! I discuss many behind-the -scenes tales and stories for the first time, hidden frequencies, spirit phenomena, my beliefs, and process unearthing music in unusual locations. This piece will give you much new insight on the project. So proud of how it came out. Excited for you to read it! Here is the LINK. BIG NEWS! 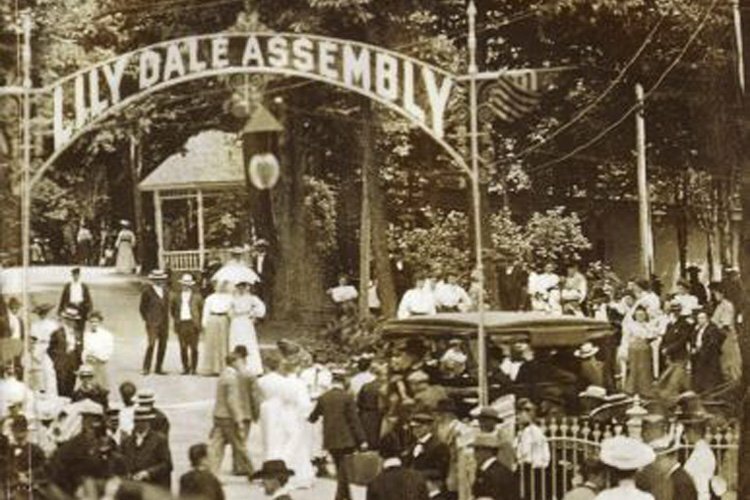 I have partnered with Lily Dale’s Marion H. Skidmore Library (which houses the largest collection of Spiritualist books in the world) to offer you a chance to win unique historical Lily Dale items drawn from their collections— awarded in random drawings to my campaign backers! A portion of proceeds from album sales will go to help the Marion H. Skidmore Library, and to preserve and house these rare books for years to come. Every donation makes you automatically eligible for a chance to win. ***SCROLL DOWN for the original campaign story, plus the history behind it all... (and be sure to read the UPDATES here!) *** Also Follow JILL TRACY on Instagram. Follow the hashtag #jilltracyinlilydale for an ongoing peek into my otherworldly adventures! 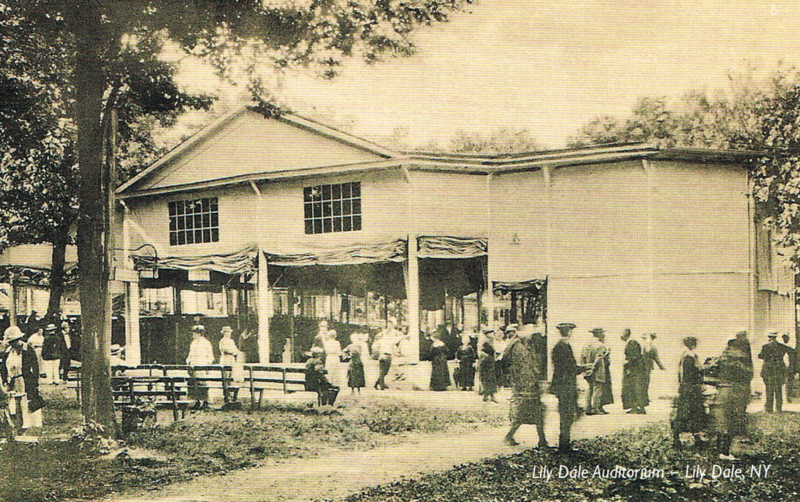 What's it like inside this peculiar place called Lily Dale? It's an honor and inspiration to be blessed with this opportunity, but I need your help! Plus the thought of taking you along on the journey makes it even more alluring. I cannot bring a crew with me, so I must be completely self-contained with video, recording gear, software, and accessories. I must buy things. I have travel expenses. This is why I need your support! To show my appreciation, I'll send you secret behind-the-scenes photos, odd historical tales from the archives, videos, interviews, updates, recordings, and musical works in progress. 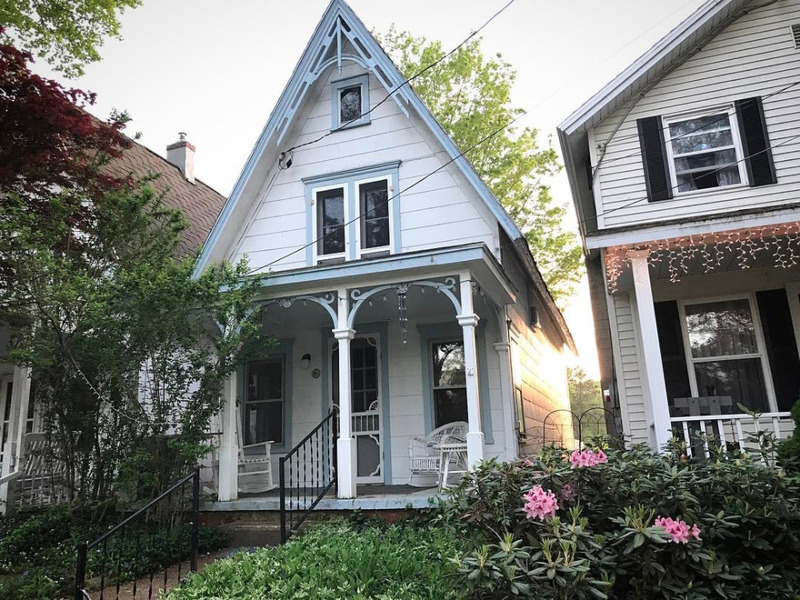 In the middle of nowhere, mediums, some of them fourth or fifth generation, live in quaint clapboard houses. 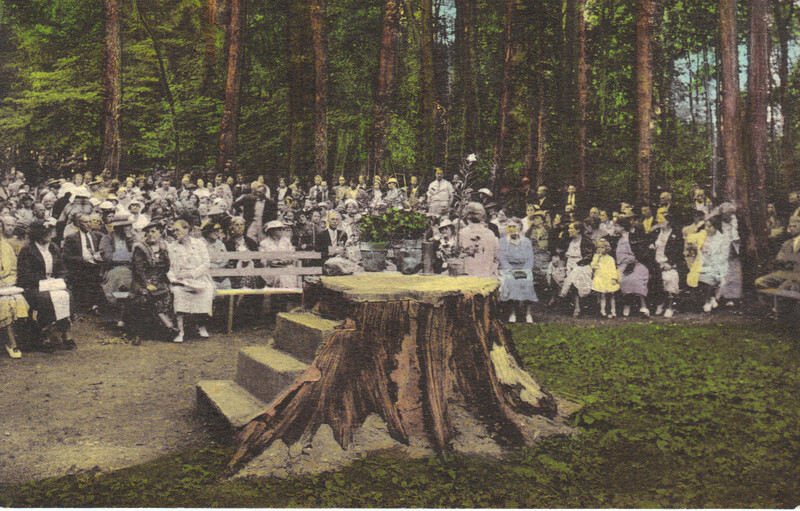 The village, on 167 wooded acres, has about 100 year-round residents— ALL of them Mediums and Spiritualists. This means a belief that spirits are able to communicate with the living by agency of a medium. ... Adherents of spiritualistic movements believe that the spirits of the dead survive mortal life, and that sentient beings from spiritual worlds can and do communicate with the living. My work has always been about honoring the Mystery, the hidden worlds that lurk all around us. My piano is my portal. Frequencies, resonant tones, music, and sound have long been used in psychic communication. Music (which is merely a collection of selected frequencies) is a bridge to realms we may never fully comprehend or master— but they surround us. I’m fascinated with what I call “sonic residue,” echoes, and impressions that remain in environments, buildings and objects. Much like a ghost. For me, uncovering the hidden music within these spaces is the closest thing to time travel or channeling. 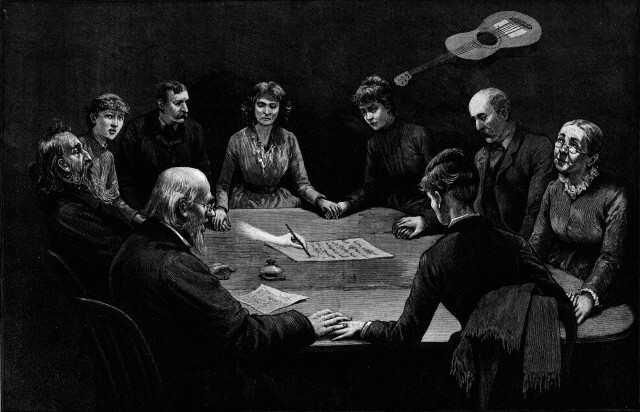 The thought of being alone at the grand piano in the 1883 Lily Dale auditorium at night, unearthing music on the instrument played during actual spiritualism services and séances is chilling. I plan to set up a series of microphones to capture the ambience, the room— the aural energy of being inside this place is as intense as the music I uncover. I will be working with the great folks at Lily Dale’s Marion H. Skidmore Library, which houses the largest collection of Spiritualist books in the world. They have been saving rare 1800s Spiritualist sheet music and audio-related materials for me for over a year! Much never-before-seen. So I will be spending a lot of time in the stacks.I plan to conduct interviews with historians and those who communicate with the dead—and even experience readings myself from the mediums, and attend mediumship workshops. I approach this project as neither a believer nor non-believer, but open in expanding my mind to possibility. I do believe in other realms and energies far beyond human comprehension. There is so much we don't know. Budget includes separate 2017 and 2018 trips to Lily Dale —airfare, transportation, lodging, workshop fees, meetings, food, daily expenses. Please remember that this equipment is not "one-use only," but an investment enabling me to continue and expand my work ongoing. My future goal would be to use this material to finally launch my web series of strange, sonic explorations, which could also be edited into a podcast with interviews and stories, as well as releasing the Lily Dale music! This experience could also become a memoir, lecture/ live concert event. Ahhh, think of all the spellbinding possibilities! What an unbelievable month. Straight from the hospital ICU—to playing with Bauhaus! Yes—I have been in critical condition in the hospital. 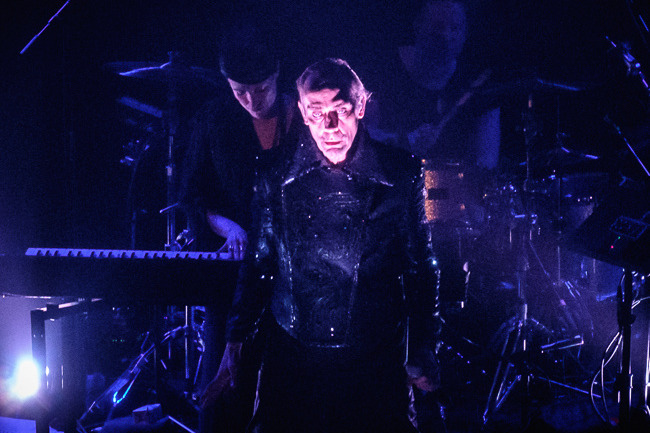 Almost died, but now feel like a Phoenix risen from the ashes— and was able to return to playing my final dates in the Peter Murphy residency, as well as the Bauhaus tour. It is complete bliss on a level I have never known. I guess it takes truly escaping death to appreciate the fragile privilege of being alive. Working on the Lily Dale project now has an even deeper meaning for me!! Intense to say the least. Here’s the shocking story of why I was mysteriously absent for my initial Mar 10 show with Peter Murphy (as well as being MIA from the internet.) I ended up being taken away in an ambulance, and spent most of the week semi-conscious in the hospital Intensive Care Unit. This all happened so suddenly and horribly— and had to do with my near-fatal reaction to a medicine completely misprescribed to me weeks ago. I had NO idea or symptoms until the very end, when the medicine was causing my body to shut down. My dear friend arrived at my apartment March 10 at 5pm to help me load my gear to The Chapel, and found me collapsed and convulsing on the floor (in black sequins, no less.) The ICU doctors said if she had not found me in time, I would have gone into a coma, and quite possibly died. So in an odd way, I feel like Peter Murphy helped save my life. If the show had not been planned for that night, and Michele did not arrive at 5pm, I would have not survived. The timing was truly a blessing. I woke up that morning feeling fine, excited for the show, and later as I was getting dressed, I suddenly felt dizzy, which progressed into vertigo, I suddenly felt my limbs twitching and fell to the floor. The ambulance drivers whisked me off in black sequins, slipping out of consciousness at the time, it was a total Joan Crawford— and I daresay THIS will forever be my quintessential Goth Diva moment. It has been so healing to reconnect with my dear friend David J (Bauhaus) and hear him play bass on those classic tunes! 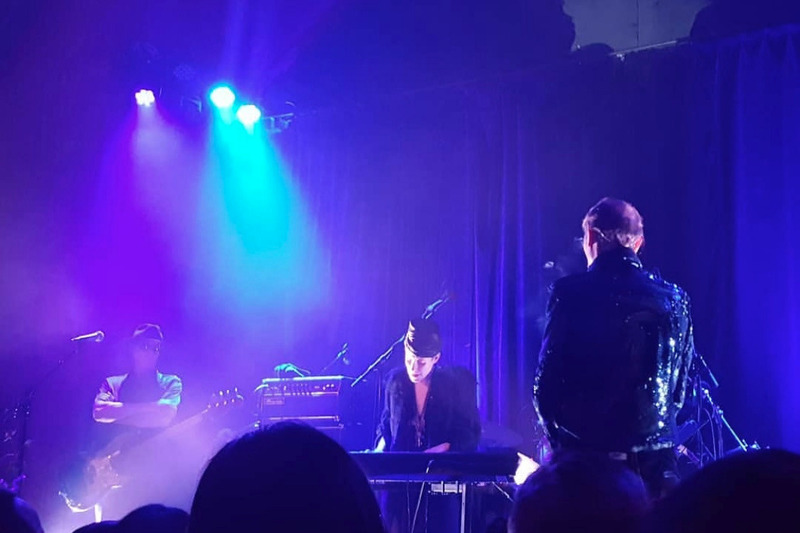 Performing with Peter Murphy, and his amazing band has been the best medicine of all! And there’s MORE!! please join me with Bauhaus in SANTA ANA, CA April 2! In the midst of all THIS, I thank you for your ongoing support and donations, I am behind in sending some of you personal thank-you notes, which I will get to very soon! I have decided to EXTEND the fundraiser until MAY 5th. I had been planning to share many more Lily Dale tales, contest, and photos, and gear up for a fun, final countdown— but that could not happen due to my being unconscious in the hospital, and later recovery. Your donations have especially been helpful now, since I have lost much income and in a difficult financial situation after being in the hospital and having to cancel all shows and work. You support is helping me immensely, and I would rather give you my new music and creations, instead of just asking for money to help me stay afloat. I am eager to return to the studio with engineer Gary Hobish— we are SO CLOSE now to being completely finished with “The Secret Music of Lily Dale!” My next mission will be to finish writing and designing the accompanying hard back book. You are always welcome to increase your original donation to equal $40. Any donation under $40 will receive the digital version of the music album and pdf book. I am so blessed to be feeling well again, and know for a fact that my OWN Guardian Spirit was definitely watching over me…. Peter Murphy even said to me that "Miracles are the threads that hold the Universe." 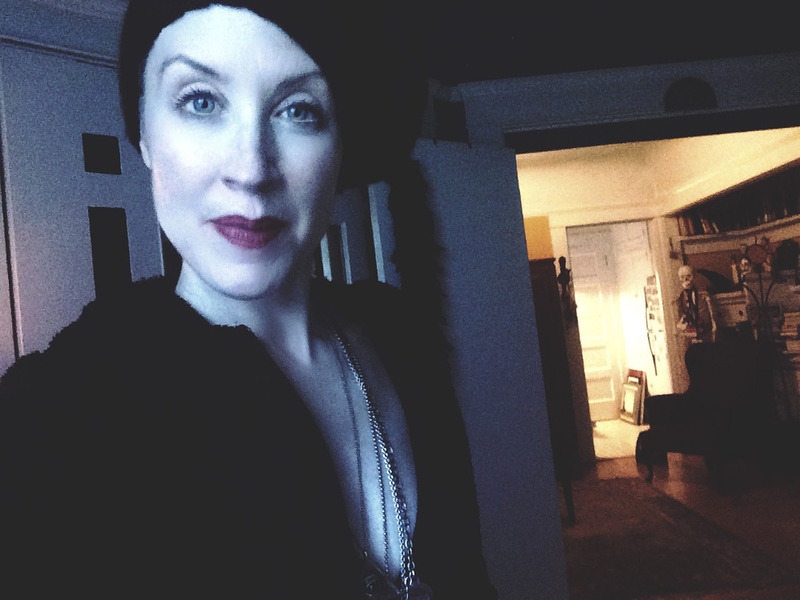 PHOTOS: My hospital bed, and playing piano with Peter Murphy and Bauhaus! Greetings beyond the veil… a juicy, exciting update! 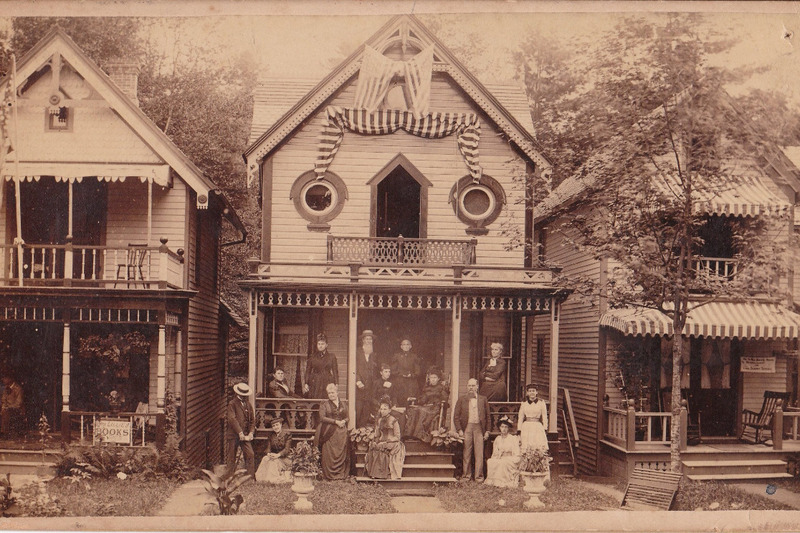 Since we last connected here, I have been culling through hours of piano and field recordings, plus hundreds of photographs I have taken since beginning this project in the private Spiritualist community of Lily Dale, NY in 2017. Last month, I began working in the studio with renowned audio mastering engineer Gary Hobish to assemble the album, which will have 17 tracks. The biggest difficulty was whittling down what to use because I love so much of it! It casts quite an alluring spell, and it's thrilling for me to be able to finally hear it coming together as an actual cohesive thing! 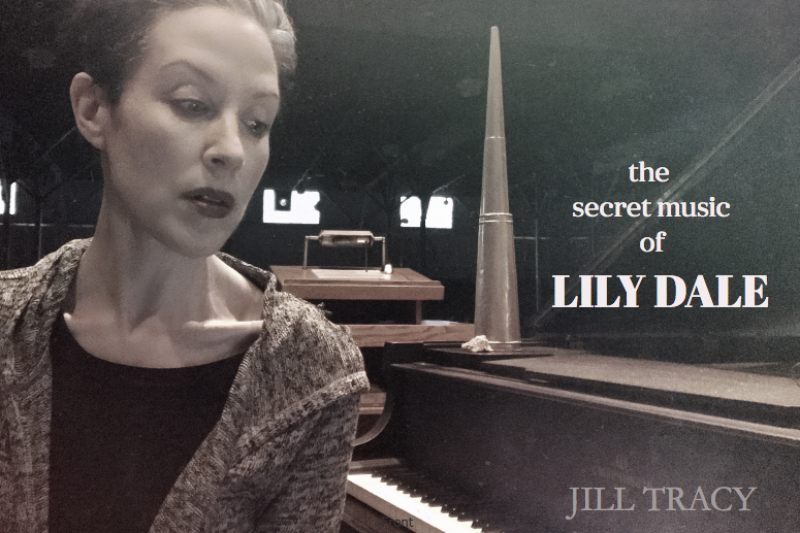 “The Secret Music of Lily Dale” was created in complete Vérité style. I am so proud of this fact. 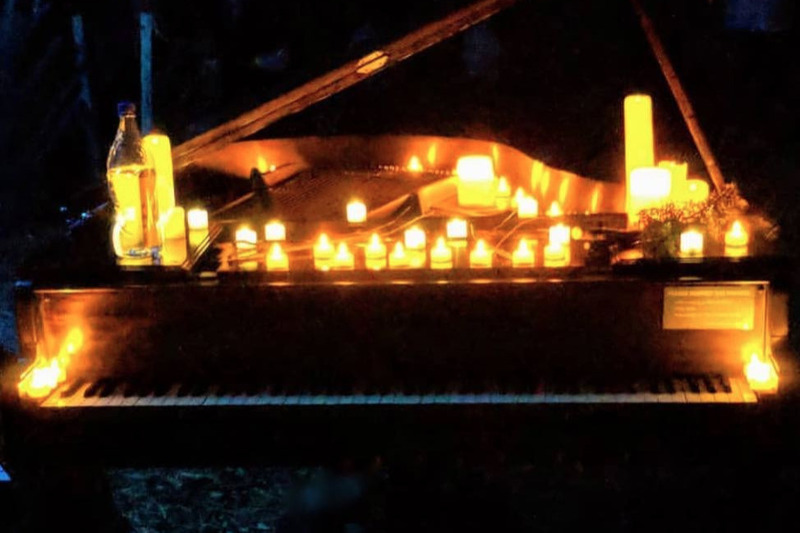 Over a series of visits, I recorded spontaneous compositions alone at night on an antique grand piano inside the famed 1883 auditorium, site of spirit communication services and séances for over a century. I captured field recordings in powerful vortex points including the Leolyn Woods, Inspiration Stump, chilling nighttime thunderstorms, winds, Lily Dale’s indigenous birds, geese and crickets— creating an elegant, never-before-heard sonic journey. During my late nights alone at the piano, you’ll witness mysterious sounds that appeared on the recording that defy explanation. I could definitely sense that I was not alone in that space, and have done NO editing of unusual instances I experienced during my solitary sessions. You’ll hear it all! It’s chilling (and beautiful) to say the least. These recordings are not only stunningly authentic, but make a emotional connection with the environment and the listener, a depth of which I am only now beginning to comprehend. And the best part: the piano music is gorgeous. Some of the best work I’ve ever created. It’s ambient and cinematic, transporting, dark classical. Mystical, yet meditative. This recording is a much needed respite from our now contrived and phony world. What a joy to have created that for you. Since this project is unprecedented and the tales so compelling, I have decided to release the album with an accompanying hard-back book! I’ll reveal personal stories, rare historical and behind-the-scenes photos, discussing my peculiar discoveries through the process. I have been in meetings with one of my favorite graphic artists to helm this with me. The GoFundMe campaign thus far has enabled me to complete the initial recording and research trips. And I thank you greatly! All of you who donated to the campaign will receive the album and book long before it goes on sale to the public in October! This is truly one of the most intriguing projects I ever done, and I am honored you made it come to life. You are certainly welcome to increase your donation to $40 or more if you’d like to receive the physical book and CD. (This helps me tremendously with upcoming manufacturing costs and paying the engineer and designers.) Just message me with your new donation that you are adding to a previous contribution so I can adjust. And of course, donations are welcome in any amount ongoing until March 31. NOTE: If you’d prefer to donate to me directly so I can save the added GoFundMe fees, please email me at: suspect (at) JILLTRACY dot com and I will reply with an easy way for you to do that. Your additional support will help make this sonic tribute to Lily Dale as wonderful as it deserves to be. We’ve come quite far in this otherworldly journey together and I am thrilled to finally share it with you. It’s been fun getting all your supportive feedback during this time. I appreciate it more than you know. I will be emailing all donors when the campaign ends (after March 31) with further instructions! Greetings from the Spirit World! I came armed with a field recorder and furry windscreens, and captured cicadas (and geese by default,) haunting winds and chimes, even the most elegant thunderstorm from within the 1883 auditorium— and you will become part of this world too, as you listen to the album. What began as frustration from not getting “clean” enough piano recordings— became the biggest gift of all, as the album manifested into a complete sonic journey as much about inhabiting the environment, and my place inside it, as it was about the piano music. It became one. I fell in love with this process. I’m honored to be a gatekeeper into a strange world few get to see, and be able to create music within its midst. These recordings and my new music cast quite a spell, and I honestly can’t stop listening to it. It will be thrilling to assemble it all together for you. 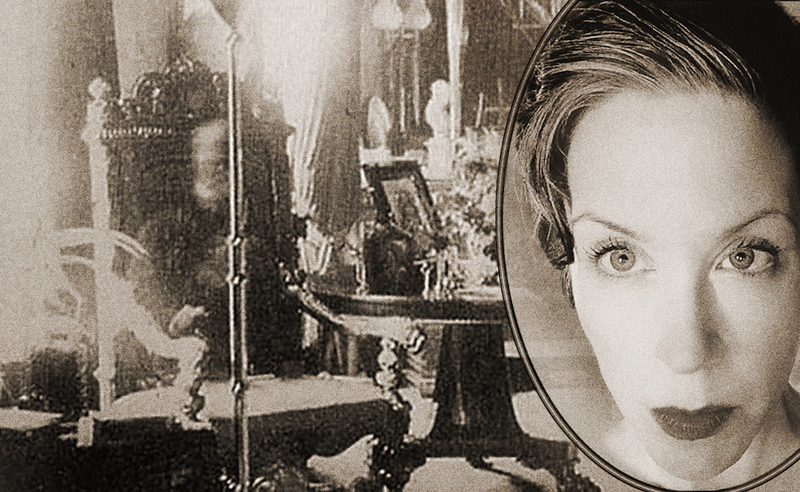 I was invited to two very intimate séances in the home of Lily Dale’s President. 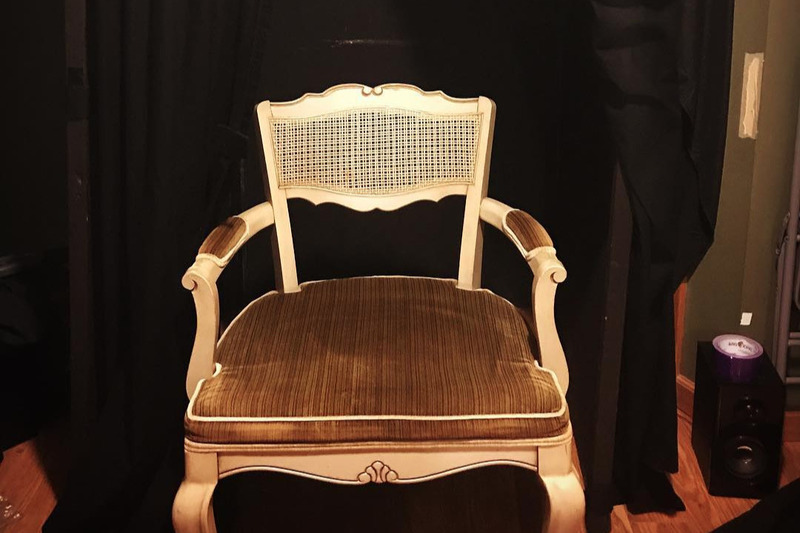 (One of the photos below features the Medium’s Chair inside the black cabinet during one of those evenings.) I was photographed (at the piano in the auditorium) by a medium who specializes in capturing orbs and spirits. Perfect blue orbs appeared hovering right over my shoulder and over the piano. 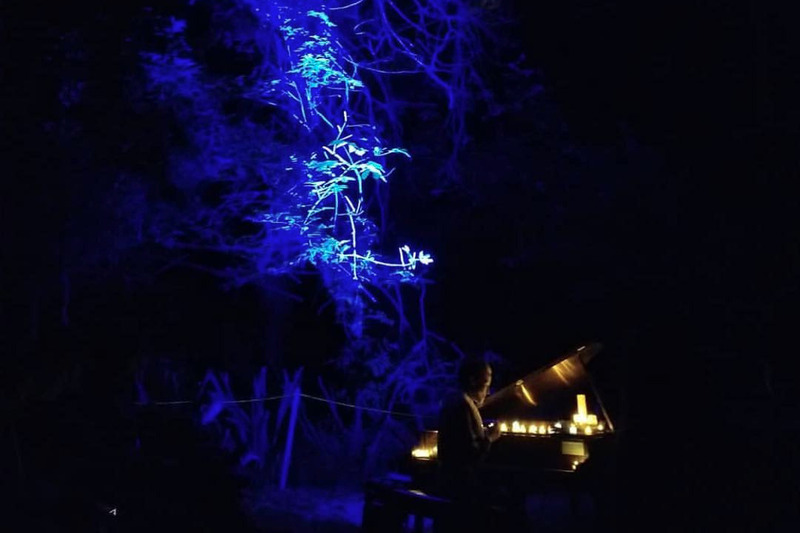 Photos were taken of me late at night in the magical Leolyn Woods at Inspiration Stump— and small elemental spirits or fairies appear to manifest above my right hand. Now, I cannot prove nor disprove these things, but therein lies the beauty—I saw things with my own eyes I will never be able to explain. You will receive these actual photos and detailed tales as part of the album’s storybook! 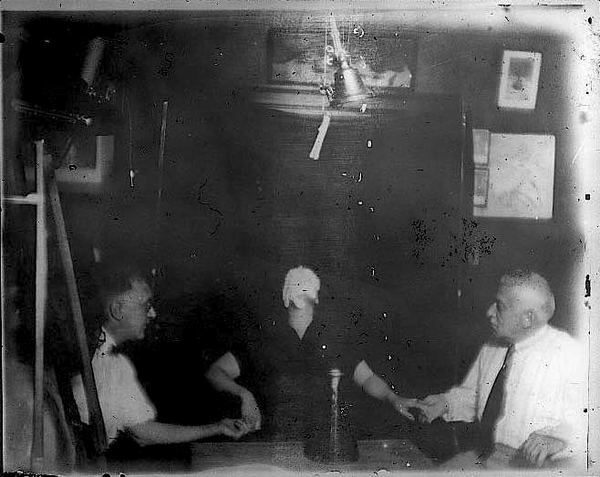 I received private EVP sessions with two renowned visiting British mediums, and learned much more about Instrumental Transcommunication, which is the method of communicating with spirits via electronic devices. My work has always been about honoring the Mystery, the hidden worlds that lurk all around us. My piano is my portal. Frequencies, resonant tones, music, and sound have long been used in psychic communication. Music (which is merely a collection of selected frequencies) is a bridge to realms we may never fully comprehend or master— but they surround us. I’m fascinated with what I call “sonic residue,” echoes, and impressions that remain in environments, buildings and objects. Much like a ghost. ***I am happy to announce we are now 70% funded!! So close! TWO RANDOM WINNERS will be selected this Sunday (Aug 19) at 4pm pacific. Will that be you? Every donation is another chance to win vintage one-of-a-kind collectibles straight from Lily Dale. Donations are crucial at this point to move on to the next phase of the project, so if you’ve been procrastinating, now it a great time to support the album. Please tell other kindred souls too. Buy it as a gift for them. THANK YOU for your ongoing interest and support, your kindness is the only reason I am able to create these projects. 3. 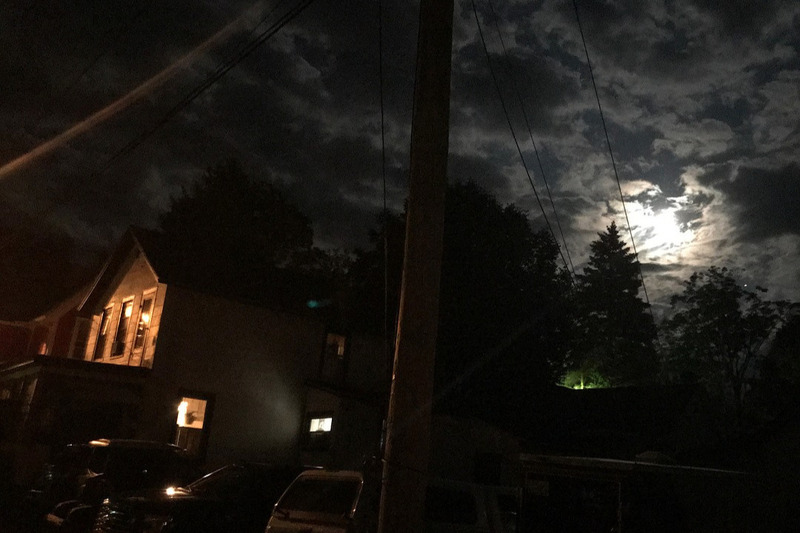 I was blessed to arrive the weekend of the Full Moon Lunar Eclipse, this was my Moonlight Stroll! I return to the mysterious little town beyond the veil NEXT WEEK! 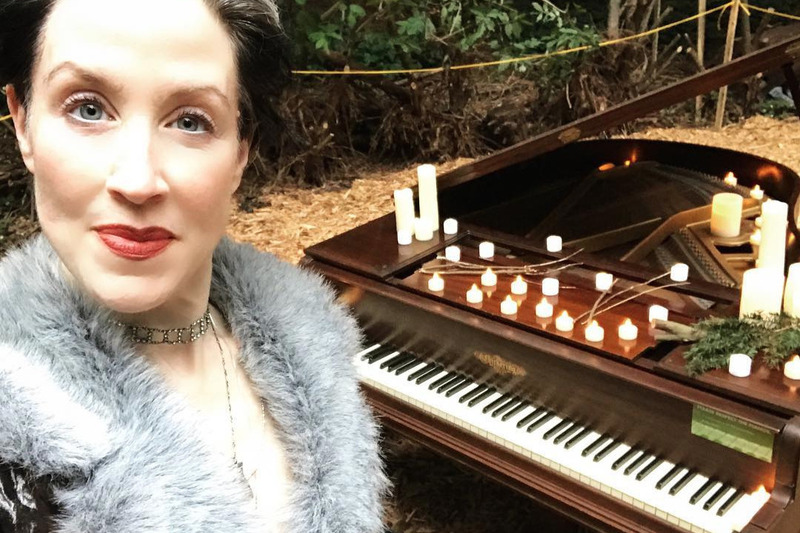 So excited to bask in that glorious otherworldly energy again and share behind the scenes tales and photos with you as I resume work on "The Secret Music of Lily Dale." I've been remiss with updates and fundraising as I was away from the project, but now I am eager to dive back into it all, as I gather a few more field recordings, interviews and research on the Lily Dale grounds. I had a fabulous hour-long conversation with Medium Celeste Elliot for Lily Dale's new podcast! Yes, the little place has its own podcast now! I will send you a link when it airs. And I will send a link to a great in-depth interview I did with EctoPortal Paranormal Radio about my experiences channeling music in Lily Dale. Just saw you open for Peter Murphy in Santa Ana on April 2nd. Love your music. I'm glad your ok after that medical scare! So sorry to hear of your near death experience! I hope you continue to feel better and move the ball down the field. Wow! What a story you have to tell again and again. So glad you are still with us, Jill! I met Jill in the lobby of the Chapel on Wednesday evening and found her presence enchanting. Good luck with all of your musical endeavours Ms. Tracy! I love Jill Tracy's work and I love Lily Dale - this is a perfect match! This is a very interesting project and artists need to help other artists.